The Bonefish Flat: What do you read? 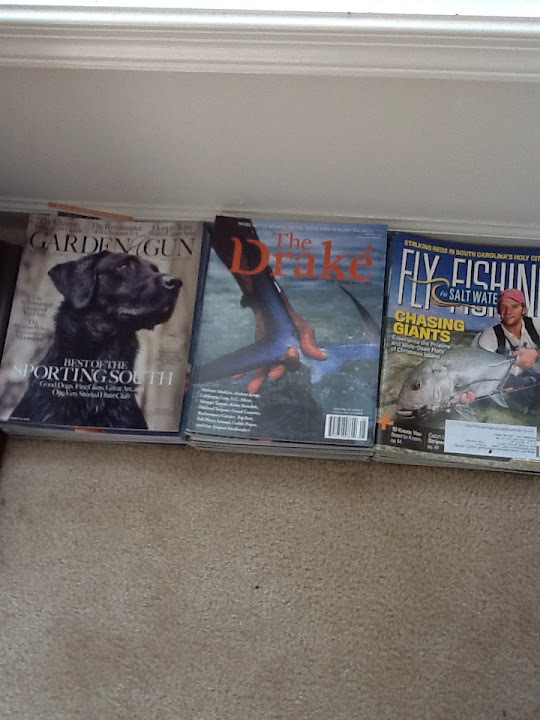 Drake, Fly Fish Journal & Fly Rod & Reel in print, FFSW on digital subscription, browse Garden & Gun on the web. I still subscribe to the Drake and I usually pick up a copy of the Fly Fish Journal when it shows up at Hastings, but to be honest, I spend more time reading fly fishing blogs and e-zines than magazines. No disrespect to any mags, but I find the content of some blogs and e-zines to be more relevant and entertaining than what many of the hard copy professionals produce on a big budget. Plus, they're free (well, except Catch - which is well worth the price of admission).